8. Roll ball side to side all the way to inside of foot to outside of the foot keeping foot on the ball 3 times then switch feet. 9. Roll ball back with bottom of the foot, open hips with inside on the same foot, alternate feet. 10. Pull back with bottom of the foot, push across body with inside of the foot, alternate feet. 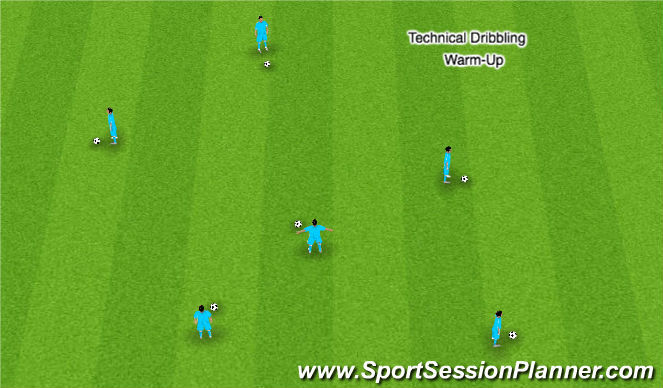 Description: Play starts the attacking team starting with the ball. Purple attemps to win the ball and score into 2 small goals on opposite end. Pressure and cover. 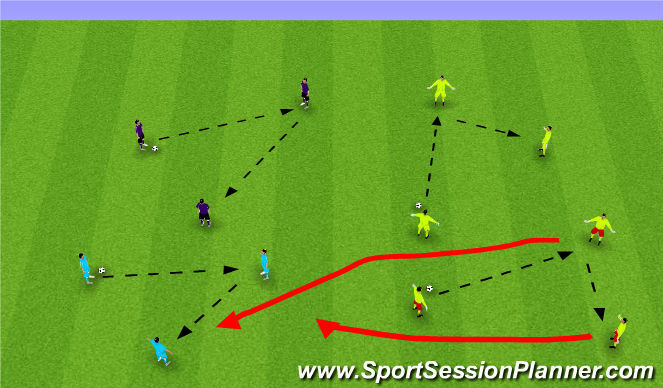 Add numbers to attack and defense, 3 attacker 4 defenders. Set Up:20Lx 30W y grid. 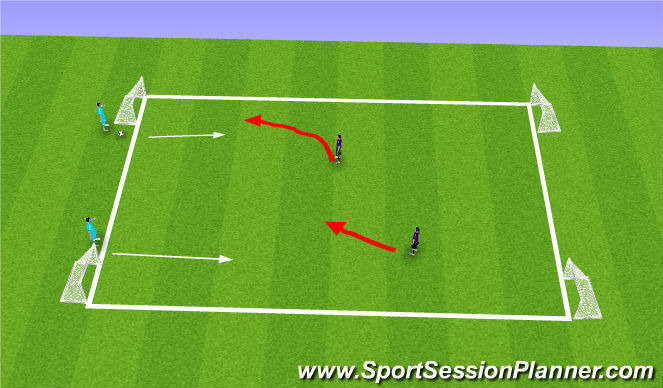 Description: 3v2 Ball starts with the 3 yellows You should be using back 2. Focus on proper shape of the defenders with 1st defender pressure, 2nd defender cover. Instruction as to where exactly they should be, and where should they move to cover and balance, as well as where to go when they get beat. If defenders win the ball they can score in 3 small counter goals. Progression: Increase size of grid, add counter goals or neutral player. 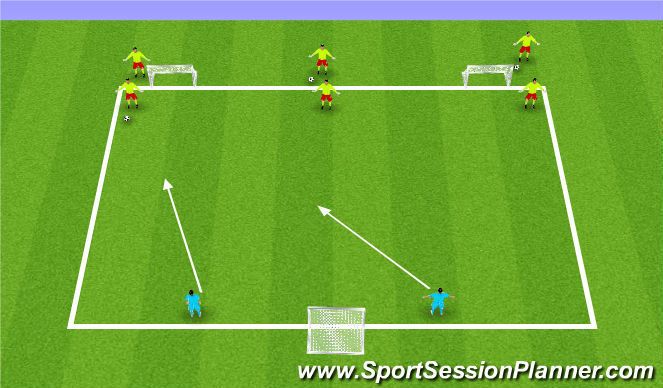 Description: 4v4+GK game to 2 big goals. Team not in possession individually have to be behind mid line before they can defend the person with the ball, otherwise a regular game. (once behind midline they can defend in attacking half) For Advanced groups make the whole team get behind midline and organize before they can defend. Compact behind the ball make the field small. 1. every player on defending team needs to be behind mid line for team to defend.